It has happened to all of us at one time or another. You are having great success with your direct mail campaigns. Then gradually over time you begin to notice that you are getting less than stellar results. You’re not getting as many calls as before which means you’re not getting as many deals. What should you do? When this happens you need to take a good look at all of the components of your campaign, and be ready to make some changes. What are the 4 components of a direct mail campaign? Your results with your direct mail campaigns will only be as good as your list. It’s critical that you have a well-defined list for each of your niches. I can guarantee that you will get mediocre results at best from a list that is too broad. For instance if you are looking for absentee owners that are motivated sellers, folks that only have a small amount of equity shouldn’t be on that list. You will be looking for deeply discounted properties to buy so folks without equity wouldn’t be your target market. If you are a wholesaler or a rehabber this is especially true. You will want properties with at least 40 -50 % equity. You want to be sure that you have a message that will compel folks to contact you about their property. The benefits to the seller must be clearly communicated in your message. What you say to someone in probate will be very different than the message you craft for an absentee owner or a person headed for foreclosure. Don’t make the mistake of thinking “one size fits all”. Tailor your message to the recipient. The particular mail piece has to be tailored to the recipient. You wouldn’t want to send a postcard offering to buy their house to someone in probate knowing that they have just lost a loved one. I recommend that you only use white letters for probates. In most other cases you could either use a letter or a postcard. Postcards are generally much cheaper to use, and they will always get read since there is nothing to take out of an envelope. But from experience I have found that different mail pieces work better in different areas so be ready to do some testing. Figure out what works best in YOUR area. Here’s another thing to consider; if everyone in your area is sending yellow letters, be different. Send a white letter or a postcard. Getting “chosen” as the one who gets the call is all about two things; getting your mail piece read and connecting with the seller in the brief time you have to get your message across. You will need to set up a system for keeping this whole process on track. I like to use a marketing calendar. It is important to plan your marketing activities for at least the next 3 months. Write it down on a calendar so that everything is scheduled in advance. There are a number or companies that can help you automate the actual monthly mailing process. My advice to you is to outsource as soon as you can. Outsourcing will keep your mailings on track and you will make more money in the process. 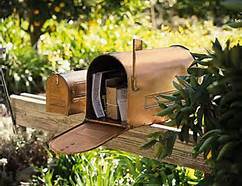 Life tends to “get in the way” so find a way to keep your direct mail going out on time every month. Invest in a database or some type of contact management system to keep track of your mailings and your contacts. Don’t let those valuable dollars you have spent on your mailings go down the drain by not following up with folks that have contacted you. I have to agree that the list is the MOST important starting point. Knowing your audience is important for all forms of communications campaigns. Lets just face it, sending an invitation to a bacon festival to a bunch of vegans is not going to get a good response. Fantastic article Sharon. One thing that I’d recommend is including a QR code. It is something actionable and and something you can track as well. You always have such great insights! Is there a particular software you recommend? Thanks for all the great value you add to these articles! If you are talking about the database, I use ACT. They now have a cloud based version. You can get this online, and it can be hosted wherever you host your blog. If you are looking for something that is free, Scott Costello over at the StrugglingInvestor.com has some free software that you can try. He developed the program and uses it himself. It will eventually be a paid program. You might want to give it a try. You do a great job with your case studies. I love rehabbing even though I don’t do it anymore. I’m going to have to buy a house just to take down some walls. That’s just about my favorite thing. Thanks for reading.